Celebrate The Joy of Christmas with Us! Whether you’re looking for a place to host your office Christmas party or family dinner or New Years Eve party, look no further – we’ve got everything you need to organise an outstanding Christmas party night. 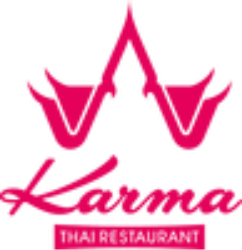 From private dining rooms to complete takeovers of the restaurant, from exotic new menus starting from €28.00pp onward to special entertainment, Karma Thai is the place to be during this special season. You can use our private dining room which can seat 10 to 30 persons for your party night. Our private room enables you to have a meal whilst enjoying the unique atmosphere of Karma Thai , with close friends or family or work associates. You can also book a complete takeover of the restaurant to organise exciting theme parties and or sit down dinner for 85 guests. We have a number entertainment options available for you. All you have to do is ask. We can also provide gifts with a difference for your dinner parties. The gifts can be in the form of hampers, gift vouchers. Whether it be November, December or January we have a selection of options that may suit you or your family or your colleagues. ​Some of our dishes may contain or have been in contact with nuts, please let your server know of any allergies or dietary requirements you have. Our food suppliers have given assurances that none of our ingredients are genetically modified. Fish may contain small bones.